J&K SKIMS Medical College Kashmir Interview Schedule for various posts of Dissection Hall Attendant, Gardener, Masalchi, Cook Helper, Anaesthesia Technician. 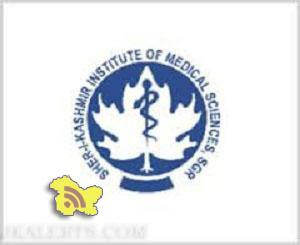 It is notified for the information of shortlisted candidates who have appeared in written test/ practical test (except Dissection Hall Attendant) for the following posts that their Interview/viva- voce shall be conducted in the office chamber of the Principal, SKIMS Medical College, Bemina on the date and time shown against each. The list of shortlisted candidates is appended as Annexure “A” to this notification. The candidates shall have to produce all original Academic/Technical certificates, valid Identity proof & one (01) latest Passport size photograph with them at the time of Interview. Mere figuring of name in the list does not entitle the candidate to appear in the Interview. However, it shall be subject to the scrutiny of all testimonials/eligibility of the candidates. In case of any deficiency with reference to eligibility etc. proved at the time of Interview, the candidate shall not be allowed to appear in the Interview, or if any deficiency is found subsequently the candidate shall not be considered for selection and will be treated as disqualified. The additional qualification(s)/reserved category certificate acquired by the candidate after the last date of submission of online application forms shall not be entertained. Any candidate found guilty of impersonation or submitting fabricated/tampered documents/ testimonials or making false, incorrect or suppressing material information shall be debarred from Interview, besides, rendering him/ her liable for criminal prosecution under law. No further Interview call letter shall be issued to any candidate. The candidates are required to report to the office of the Administrative Officer, SKIMS Medical College, Bernina one hour before the start of interview on the scheduled date. Any candidate(s) not appearing in the interview on the scheduled date shall not be interviewed later. Mobile Phone or any other electronic gadget is not allowed in the office premises. Note: NoTA/DA shall be paid for appearing in the Interview/viva-voce.